Certificates are available for specific Esthetic Services, Laser Treatments, Spa Packages or any denomination starting at $10.00 and have no expiration date. They are transferrable, however not redeemable for cash and are non-refundable. Can't make it into the spa to pick one up? 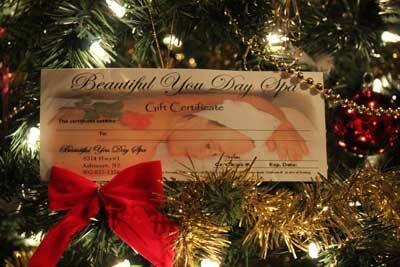 We can mail gift certificates to the recipient of your choice at no extra charge. Please call our Spa Hostess Jessica to make arrangements at (902) 837-1156.